The government is offering £2m to budding PropTech and financial technology entrepreneurs who can develop an application that will enable Britain’s 11 million renters to record and share their rent payment data, helping to improve their credit scores and their chances of getting a mortgage. The challenge - announced last month by Chancellor Philip Hammond in his Budget - will provide an initial round of grant funding to six promising proposals to help to turn the ideas into a workable product. Ultimately the government wants the end product to support a scheme - reported on by Letting Agent Today in the recent past - where tenants’ rent payments are counted towards their credit scores. Judges will whittle the shortlisted six down to a smaller of teams who will receive further funding and support to bring their ideas to market. “People’s monthly rent is often their biggest expense, so it makes sense for it to be recognised when applying for a mortgage. 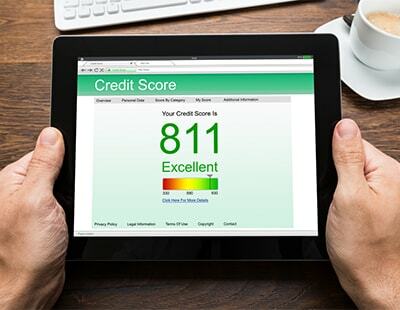 Without a good credit score, getting a mortgage can be a real struggle” says the Economic Secretary to the Treasury, Stephen Barclay. “Most lenders and credit reference agencies are unable to take rental data into account, because they don’t have access to it. The Rent Recognition Challenge will challenge firms to develop an innovative solution to this problem and help to restore the dream of home ownership for a new generation” he adds. This is great news for tenants. With an average 47% of income spent on rent (English Housing Survey) it should be a tenants right to have this recorded on their credit file. Interestingly a fintech does already exist. Since early 2016 CreditLadder has helped thousands of tenants to have their rent payment data reported to Experian’s Rental Exchange, for free. This week will see Lord Bird of the Big Issue and The Young Foundation press forward with the #makerentcount campaign to spread the message of rent reporting to credit reference agencies. All very positive and a step in the right direction for the Government and their support of such initiatives. If any agents would like to work with us please contact me on asa@creditladder.co.uk.